With the TRAC camera there is no need to scan through minutes or hours of useless pictures taken with a security recorder to get the seconds just before the EAS alarm occured. The pictures from the TRAC camera are time and date stamped and show only the most critical time segment of the doorway just before and just after the EAS alarm occurs. Camera is 4" x 4" and is equipted with a removable camera memory data card. 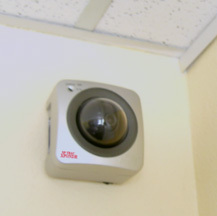 A low cost self contained alarm camera and digital recorder specifically designed for store entrances. 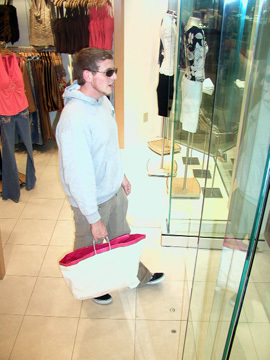 Full color photos of persons leaving the store before they get to the door causing the alarm. High resolution pictures stored on a standard removable camera memory data card. Viewable on any pc with supplied software.